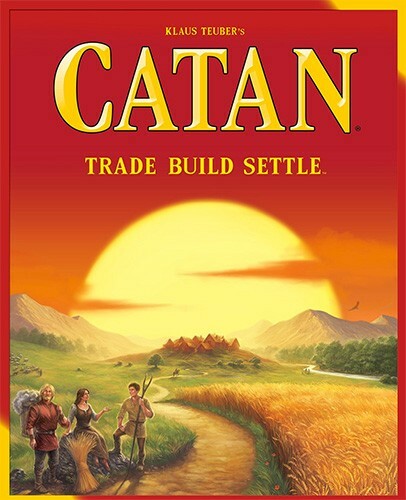 Catan from Mayfair Games is an award-winning strategy game where players collect resources and use them to build roads, settlements and cities on their way to victory. The board itself is variable, making each game a little different from the next. 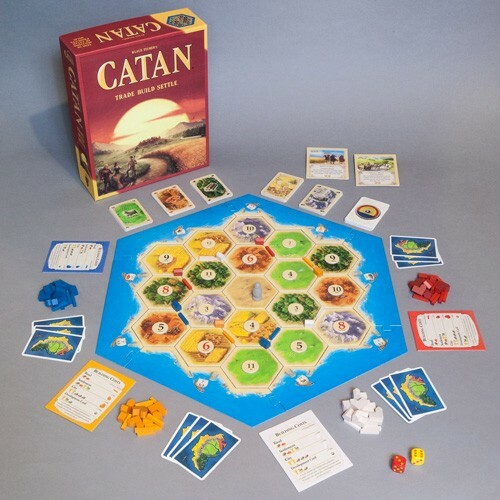 Each round of Catan is intended to keep three or four players engaged for up to 90 minutes. The game rules and almanac booklet sets out four pages of guidelines for getting started. Don't worry, the rules are straightforward and the four pages include plenty of illustrations. There's a starting map that shows a well-balanced set-up for beginners to follow and directions that allow more advanced players to lay out the map of the island at random. You'll have to pop the die-cut components of the game out of their cardboard holders before you play your first game. The almanac portion of the booklet is laid out alphabetically, so while playing you can find answers to specific questions quickly. 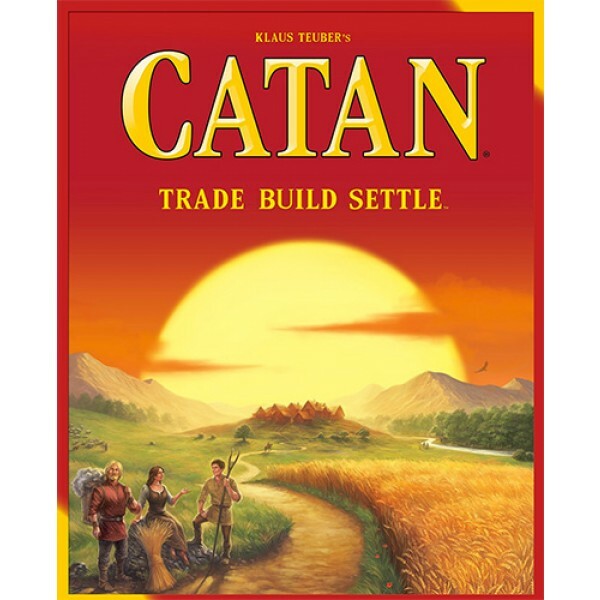 Useful entries remind you exactly what role pieces like the robber play, how actions like maritime trade work, and how to set up the board or finish the game.